I have no idea why it took me so long to use it. But hey, better late than never. Anyway, I decided to give it another try, and it's coming next month! I'm so excited to get that little brown box with the teal sticker. 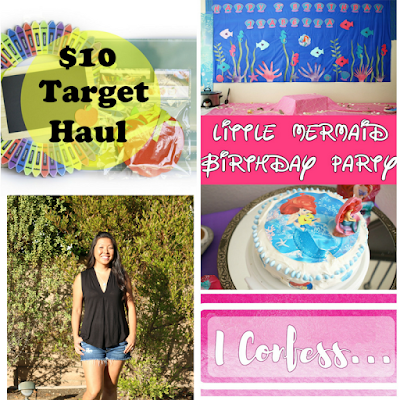 I'm obsessed with reading everyones stitch fixes, like Elizabeth from Chasin Mason. 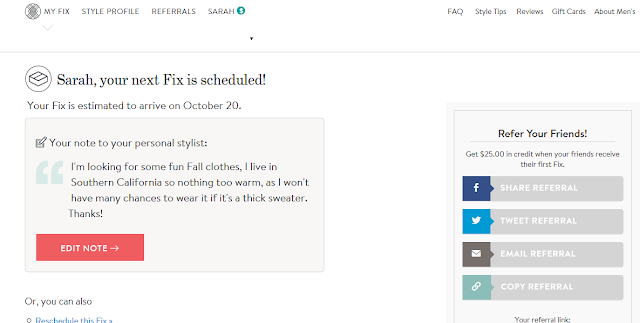 So next month you'll be getting a Stitch Fix reveal from me! Stay tuned. Baby Fox is doing so good in soccer. Saturday Mr. went to play golf so Baby Fox helped me carry Mini Fox and all of the treats (it was our turn), Mini Fox was just too tired to walk, we woke her up 1.5 hours before her normal wake up time. Actually both kids were pretty tired. Saturday night Mr. took Baby Fox to the ballgame so Mini Fox and I hit up the mall, of course! She picked Cheesecake Factory for dinner, it was delicious. Sunday we hit up a party for a friend at the kids favorite play place. They would come here all day everyday if they could. My friend did a great job with the decorations, it was a Power Puff Girls take on Godzilla. I thought these were super cute. That Mini Fox is a dare devil I tell ya. I had a mini heartattach when she was coming down.